This tutorial explains the steps to create and manage your Minecraft profiles. The new Minecraft launcher allows you to create and switch between different versions of Minecraft as well as being able to have multiple copies of each version. 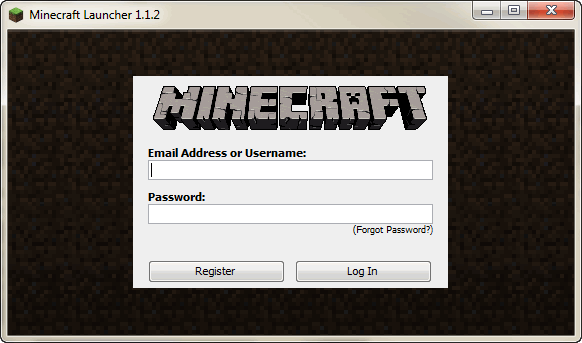 When you first run the new Minecraft Launcher, it will ask you to log in with either your Minecraft username or Mojang accoung. This may take a moment to download the latest version, so just be patient if it sits on the login screen for a minute or two (depending on how fast your internet connection is). Once it’s finished, you can then simply click the Play button, the interface will switch to the “Development Console” screen and it then downloads additional libraries and files that it needs to run Minecraft. You’ll then be presented with the familiar screen that allows you to enter a Singleplayer or Multiplayer game. The default profile has now been renamed so you can identify easily what version it will run. To play other versions of Minecraft, follow these instructions to setup additional profiles. The Minecraft profiles you’ve setup in the steps above cannot be modded. If you make any changes to them, when you launch them they will be overwritten with a clean profile for that version. The manual process to create profiles that can be modded requires you to locate the profiles listed above in your filesystem, duplicate them and change some of the values. Click here to go to our Mod installer walkthrough which includes the steps on creating profiles for modding.